Why Should You Never Blog On Hacking? Hacking seems very fancy. Recently we had a guy giving out a presentation on his hacking company (ethical hacking) that finds out weak points in security systems of many popular firms, nationally. The presentation was quite motivational in terms of 'doing' something creative in our life. I guess many students found a new hobby of learning hacking and then teaching it online, once the presentation was over. Learning hacking (knowing ins and outs of system securities) and working out for other firms may seem a good idea, but one who plans to make a living out of it online while teaching (via blog), may need to think about it several times. Many people start blogging to make money online. Money can be the key factor in providing the basic motivation to work and building out quality tutorials on regular basis. The same is what we would expect our hacking blog to return us. That is decent amount of money that would justify the hard work and time we put in those articles. This is where hacking blogs suffer. There are so many great blogs on hacking (tutorials and walk through), that attract decent bunch of traffic, but makes such a less amount of money that finally demotivates the owner. There are several examples of people who have worked hard over the years to bring their blogs to a point where they may stand among the top ethical hacking blogs online. These blogs have indeed the traffic that one would admire, a great community that a blogger could wish of, but the only down side is in terms of revenue generation. Sadly, many of such blogs are banned by Adsense due to the niche it was laid in, plus other popular advertisement ventures like BuySellAds didn't supported them too. This is only due to the hacking background of these blogs. That extremely demotivates the author (owner) who have worked for years and gained a loyal readership. 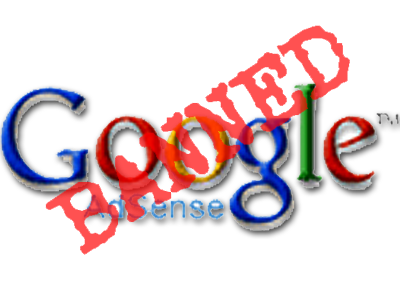 Hacking Blogs Are Banned By Google Adsense? This is the question that would first strike our minds. That is Basically Why? Google Adsense help mentions that they don't accept hacking and cracking content for the program, still it makes one wonder, as to if ethical hacking comes into the same category? Placement of Google ads is not permitted on websites that promote any form of hacking or cracking. Hacking and cracking content is content that provides users with instructions or equipment that tampers with or provides illegal access to software, servers, or websites. Over the years, Hacking blogs have taught people to secure their systems in a better way possible. Its not just about ethical hacking. Like on mybloggertricks, its not just about Blogger. Its basically what a beginners should know about blogging and getting success online in general. So i believe its a bit more harsh to deprive a quality blog with one of the major income streams that a blogger could plan of. The same is the case with BuySellAds, a popular direct advertisement platform. They don't accept blogs that post hacking stuff. Its sad. 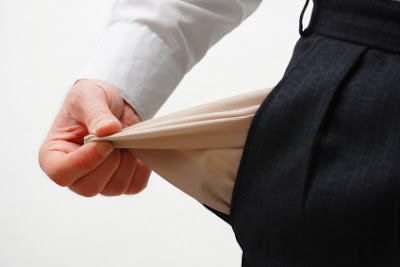 You might want to read: Lost AdSense Account? How To Get it Back? Never waste time blogging hacking articles if you wish to make money online. You would fail. Though you could make few bucks with Infolinks or kontera (in text advertisement platforms), but thats just not equivalent to the hard work you would pour in. Though this might demotivate many of the bloggers out there that fall into the same category, but its the fact that we ultimately have to face. So why not to take action now and build our future with other niche of our interest. There are two types of hackers. The first kind do black hats or unethical hackings while the second group of hackers do ethical hacks (white hats) that help people. It is the first one that bloggers should never get involved with. In case you didn't know, there are many great ethical hacking sites out there and they're making good money from online ads. Well I kind of disagree with the points you made in the posts. I run a hacking related blog http://rafayhackingarticles.net, I make more than 3000$ a month, Hacking can be one of the most profitable niche if you know how to use it effectively, I agree that you are not allowed to participate in adsense program if you blog on Hacking content, But is adsense the only way to earn money, If you study the strategies of Six figure bloggers, None of them uses adsense as their primary earning resource, Take example of John chow, Problogger etc. All it comes down to one thing i.e. Affiliate marketing, If you are blogging on Hacking, You will sell more affiliate products as there are very few number of good products and very few people are promoting it. Very true. There should be clear demarcation that would suggest that the blog doesn't entertain anything against companies policies. If the blog is regarding ethical hacking tutorials, then anything out of the circle could result in ban. True. Ethical hacking bloggers could thus take Affiliate marketing into consideration. But as i mentioned in the post : Are Affiliate Ads Better Than Direct Ads? that its not easy to work on with Affiliate marketing in low traffic cases. Direct paid ads or Adsense is more attractive to the beginners, which get a more positive results from PPC ads. To make decent sums from Affiliate ads, there should be a good viewership that is willing to buy something online (as i mentioned in the post). And that is mostly done when a blogger is able to build a loyal readership. Well if you are low on traffic, then are also not gonna earn good amount of money with adsense. The only reason why webmasters and bloggers don't make money with Affiliate marketing is because one they don't promote relevant product, Two they promote them the wrong way. Imagine if you are making 5$ per day with adsense and on the other hand, you are promoting a product say worth 37$(commission), Just a single product sell is equivalent to whole week of your adsense earnings. Choosing Adsense over affiliate marketing is just like trading dollars for pennies, If you really want to make huge money online, Affiliate marketing the right path for you. This article is really good and I would also like to note that the blog, so nice & beautiful. @ Rafay you are right. A true blogger don't need adsense to make dollars, there are lots of way to earn money. I must try the Affiliate marketing... Nice Post!! Thanks Guys!! Can somebody tell me which is the biggest and best affiliate marketing companie?? Thanks guys. Sure i'll discuss affiliate marketing networks shortly. agree with Rafay, Affiliate Marketing is one of the best way to earn money than other sources. wat abt computer tips and tricks..
Do adsense acept dese kind of blogs!